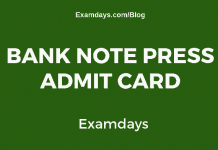 LIC AAO Admit Card 2019: Life Insurance Corporation of India LIC released ASSISTANT ADMINISTRATIVE OFFICERS AAO released LIC AAO Admit card for online examination. The LIC AAO exam date 4th and 5th May 2019 ( to be conducted only CBT Mode ) for 590 vacancy posts. Those who are applied for the LIC AAO Examination can download LIC AAO Admit Card 2019 from 15th April 2019 onwards, the LIC AAO Prelims examinations will be conducted from 4th May onwards till 5th May 2019. Candidates have to download it accordingly. Those who are completed Bachelor degree are eligible for LIC AAO posts. The selection procedure will be based on the merit examination for both prelims and mains. Those who are applied for the LIC AAO 590 vacancies can download the AdmitCard 2019. Attach any govt ID proof for verification purpose. Download and attend the LIC AAO prelims examinations accordingly. The LIC AAO Examination to be conducted as on 4th and 5th May 2019 in CBT mode. Candidates have to finish their preparation for AAO Examination. Eligible candidates can download the final admit card for the LIC AAO examination, which supposed to be held on May 4th and 5th 2019 (As per scheduled time). 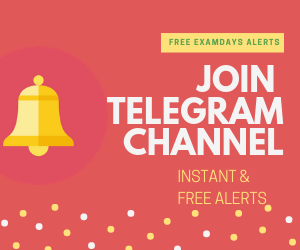 Candidates have to download before last minute of the examination and attend the examination as per scheduled date and time in assigned examination center.